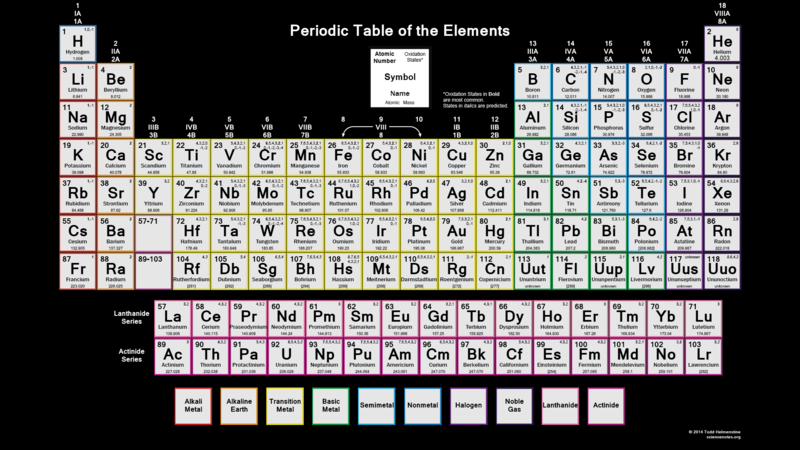 This color periodic table contains the number, symbol, name, atomic mass and oxidation states of each element. The most common oxidation states are in bold text and predicted or unconfirmed states are in italics. 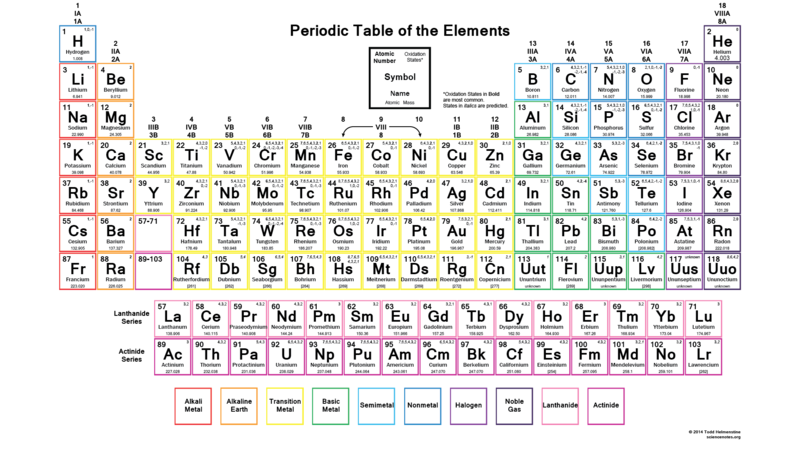 This table is available for download as a PDF file and printed for offline use. For best printing, choose Landscape and ‘Fit’ for the size option. The above image can be used as a widescreen (1920×1080) desktop wallpaper for your computer. Click the image for full size and save. A black and white version of this table for those without access to a color printer. If a darker desktop is prefered, this table is also available with a black background. Click the image below for full size and save.